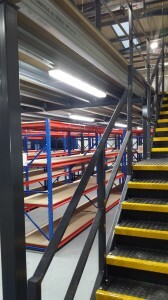 Storage Concepts Limited has recently carried out and installed a Mezzanine Floor Storage project in Cardiff. Using a freestanding structural steel mezzanine floor we have increased the storage capacity within the client’s warehouse / production facility. 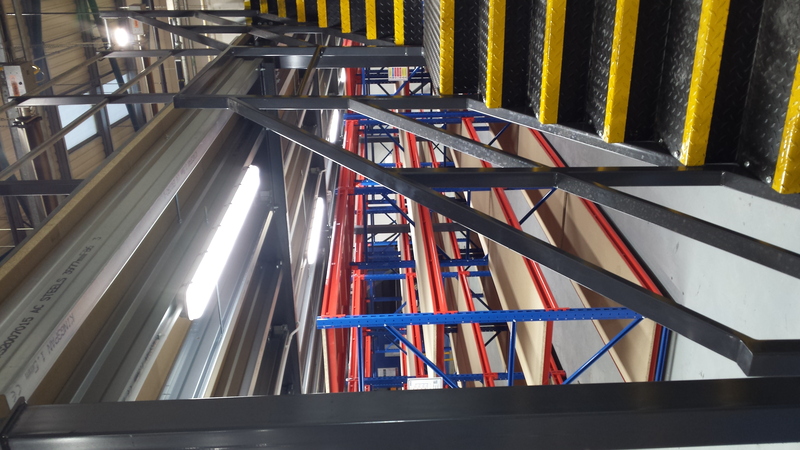 The installation comprised of a Mezzanine floor with staircases and loading gates, wide span shelving and Led Lighting, all delivered and installed with 4 days. This storage project has utilized the headroom within the clients facility and provided a fully flexible storage system.